The average American will spend 90,000 hours at work throughout their life. However, even as a dedicated employee, you have a life outside of work and you want your employer to acknowledge that. Additionally, finding balance at work is important. <p> Nike employees collaborate with some of the most gifted athletes in the world. These brand ambassadors inspire and motivate athletes to reach their best potential. <br> </p><p> Nike has aggressive goals to help change the future of sport. While employees at Nike work hard to achieve these goals, they make time to play too. <br> </p><p> "Nike is a company with a team mentality that celebrates each other's successes and continues to push everyone to be the best athlete* they can be," said Bryan Hamilton, Recruiter for Air Manufacturing Innovation Team at Nike. "Where else can you win the opportunity to play kickball with LeBron James, shoot hoops with Kevin Durant, or throw a football with DeShaun Watson? I love working for Nike! My friends can't believe some of the day-at-work stories I tell them!" <br> </p> Nike rewards its employees with a chance to meet the athletes they admire. It's opportunities like this that spark creativity and inspiration amongst employees and get them excited to come to work every day. <img lazy-loadable="true" src="https://assets.rbl.ms/19324621/768x1024.jpg" id="bfc43" class="rm-shortcode" data-rm-shortcode-id="UI3CSP1555602298" data-rm-shortcode-name="rebelmouse-image" />Nike employees "create micro-moments of awareness throughout the day" with meditation spaces and subscriptions. <p>When summer arrives, all we want to do is hang out at the beach and spend time with family and friends, right? Well, for a lot of employees, they're in the office continuing to work until the weekend begins. Some companies, however, offer Summer Fridays to help kickstart the weekend early for their employees.<br> <br> Kathleen Nering, Senior Talent Sourcer at Nike, said she always loved summers as a kid. For her, growing up, they were synonymous with fun, freedom, and family. As a working adult, she longed for what summers used to be. <br> <br> That all changed when she joined Nike. At Nike, Summer Fridays last from Memorial Day to Labor Day, where the company shuts down at noon on Fridays. <br> </p><p>"I spent my summers as a kid swimming at the local pool, fishing with my grandma, picking watercress in the creek near her farm. Summers were a chance to put the books down and change it up for three full months. I've spent 25 years in the workforce, and each year those same three summer months have come and gone, and with them a feeling of nostalgia for what summer used to be," said Nering. "Once I started working at Nike, the spirit of summer swept back in for me, a feeling of joy. Now I'm getting more out of summer again, more free time open to possibility." <br> </p><p> She said she enjoys taking her son to the pool on Fridays, and concocting road trip plans with her husband. 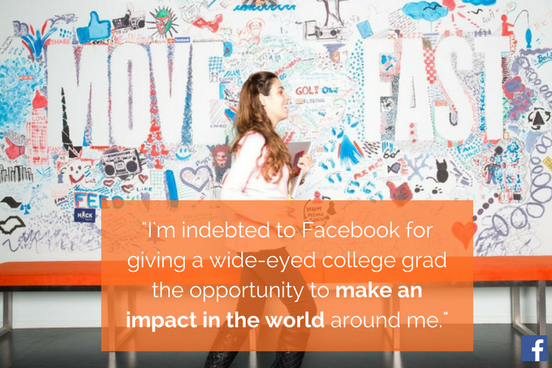 These activities are made possible with the extra time she has thanks to Nike. <br> </p><p> "It's a chance to enjoy long weekends every weekend," she said. "This extra free time has an amazing domino effect on our lives that we can't quite quantify; it does so much good!" <br> </p><p> Summer Fridays help increase productivity and boost employee morale. In fact, according to a <a href="https://www.forbes.com/sites/elenabajic/2017/07/17/summer-fridays-good-for-business/#188934361ffe" target="_blank">study by Opinion Research Corporation</a>, 66% of those surveyed felt more productive as a result of the summer hours policy at their companies. <br> </p> Not everyone has the luxury of leaving the office early to enjoy some fun in the sun during the summer months. Fortunately for Nike employees, this is something ingrained in the company's business model. Nike leadership acknowledges the intrinsic and business value of balance. <p>Today, employees want to work for companies that support causes they care about.<br> <br> <strong></strong>Denise Novosel, Recruiting Senior Director at Nike, lost her mom to Alzheimer's at the age of 71. At her mom's funeral service, Denise made a commitment to honor her mom's legacy and share her story. "Alzheimer's didn't define my mom's life, but her journey taught me about patience, empathy, and courage. It has also inspired me to help fight for others who are impacted by this terminal disease," said Novosel.<br> <br> Nike recently supported Denise when she wanted to donate to an Alzheimer's Association charity event where experiences were placed for auction. <br> <br> Because of Nike's generous contribution, Denise donated an experience for a group of people to enjoy dedicated time at the NIKEiD studio in downtown Portland. Each person got to customize a pair of sneakers and make their own color choices on the base of the shoe, laces, swoosh, pull tab, even in some cases put their name or other text on their shoes. <br> </p><p>According to Novosel, her commitment to supporting other families affected by Alzheimer's remains unwavering and it's one of the reasons why she loves working for Nike so much. </p><p> "The best part is that I made a new friend at the auction," said Novosel. "Jon, who won the NIKEiD studio experience, has since lost his father to Alzheimer's. We've created a lifelong friendship, one that I wouldn't have without Nike." <br> </p> We all know actions speak louder than words. It's actions like this that show Nike leaders truly care about making a difference in employees' lives. Everyone knows Nike's tagline is “Just do it." But, as of January 2018, they've added a new slogan for those who work there: “We are the people who do!" Innovation at Nike is what is going to help drive the business forward. Working for Nike is about blending your skills and beliefs with your passion for sport. At Nike, the power of inclusion drives employee success. <img lazy-loadable="true" src="https://assets.rbl.ms/19312071/980x.png" id="dc27f" class="rm-shortcode" data-rm-shortcode-id="RNGW8Z1555657021" data-rm-shortcode-name="rebelmouse-image" />Source: Nike's Glassdoor page. The word “innovation" will become part of your workplace mantra. <img lazy-loadable="true" src="https://assets.rbl.ms/19312076/980x.png" id="0ef58" class="rm-shortcode" data-rm-shortcode-id="6XL0BP1555657021" data-rm-shortcode-name="rebelmouse-image" />Source: Nike's Glassdoor page. Nike's benefits have no geographic boundaries. Your next job could be one email alert away! Facebook has some of the brightest and most innovative people leading the pack. 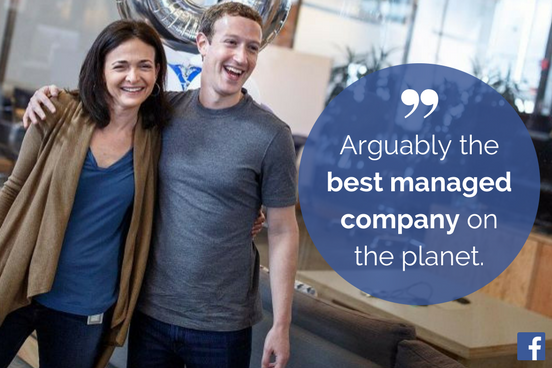 Founder & CEO Mark Zuckerberg has created an open and collaborative atmosphere at Facebook. It's not surprising that he has earned a 98% approval rating on Glassdoor as head of the company. Imagine coming into work every day surrounded by some of the brightest minds in the business. The work you do is impacting the lives of billions of people every day and you're developing friendships with the people working beside you while doing it. 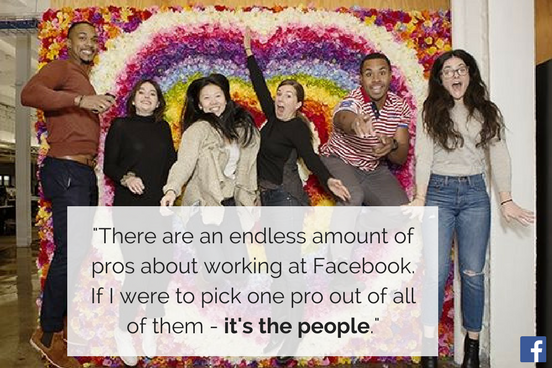 Facebook has a 4.6/5 approval rating on Glassdoor, so it's safe to say that employees are happy working there. 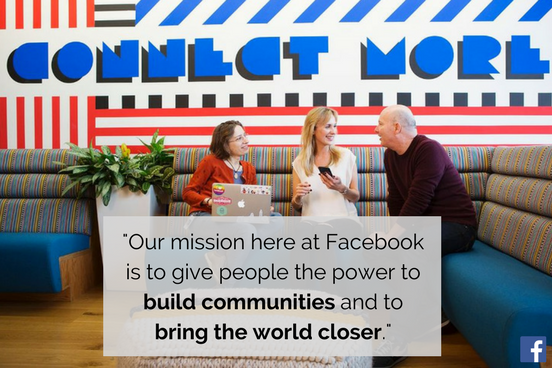 Employees at Facebook live by the saying, "this journey is 1% finished." Although they have accomplished so much as a company, the work they are doing has just begun. There is so much more that they can be doing to fulfill their ultimate mission, which is to "bring the world closer together." Whether it's their ugly sweater contests, dressing up on Halloween, or playing ping pong in the office, Facebook knows how to have fun. 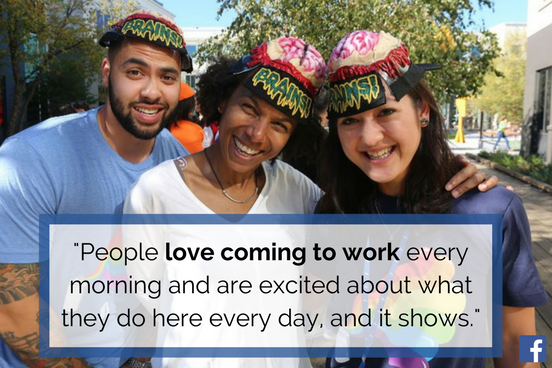 Check out their photos on Glassdoor to get a closer look at their fun culture!